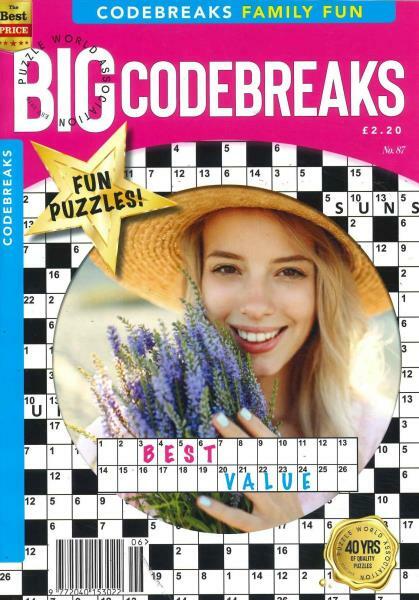 Big Codebreaker Magazine is a Monthly magazine crammed packed of Codebreak puzzles issued in large print. Buy a single copy or subscription to Big Codebreaks magazine. Big Codebreaker Magazine features an abundance of your favourite Crosswords without the clues, taking your puzzling skills to the next level and even giving you thechance to win a Monthly cash bonus prize. Make sure you crack all those Codebreakers by ordering your subscription to Big Codebreaker Magazine now!